And for a rundown of my lowdown let me debrief. Over the past few months I’ve been intro-, extro-, retro- reflective, respectively. Physically and mentally asserting passages to create a new learning curve for myself, which I’ll elaborate on in a future post. This has caused many breakthroughs about the woman I am, the girl I was and still love, most importantly what I’m creating myself to be. Fortified with the realization that this is on rise of building a new model of definition of success for myself. Right now, I feel supported to create a world around me that reflects my inner vision of what I wish to see. To me this means remembering not to take life so seriously and sticking up for what I believe in a way that creates fun, excitement and ease. Growing up in the most youthful way with structured spontaneity spontaneously structuring. I’m reflecting on the emergence of an excitement that seemed fleeting, evading me since I’d been so heady with thoughts and caring about frivolity that doesn’t have as much meaning now. I have undertaken redefining success for my life and have come to the conclusion that success without love, passion, excitement and fun is not success to me. The modern model of success is missing heart and the ability to have youthful expression of silliness, innocence and spontaneity. I don’t buy into it and actually think it feels antiquated. I have been inspired and challenged to push through my blockades in ways I’ve never faced before, connecting to parts of myself that have lain dormant until recently. I contribute much of this growth to being pushed out of my comfort zone into movement and action and most importantly being surrounded by a loving family and community that is an inspirational structure to create my life into being. So let me present you with thoughts I’ve pondered. The societal expectations from childhood and up build into this thing called becoming an “adult”. Which in our current world can be so serious and dry at times. As we age we enter established structures of education and peer groups. In them we’re conditioned to restructure our expressions, quieting them, turning off the imagination in place of distraction and attainment, shutting down our child’s mind. Devoid of the playfulness and dreamlands that captures childlike innocence it can feel like we’re working within a huge machine of a system. A life of doing what is needed from society in place of reference to who and what we are, or to be, within the hierarchy. With so much value placed on attaining and gaining I pose the question again, where is true happiness found? Mine is in expression of loving life, who I am and those around me, excitedly. With comforts being met, it’s also important to me to be a caring, loving person to those around me. Manifesting beauty, harmony and joy on the physical plane. In becoming an adult I think the most important aspect to remember is our inner child and nurture it into play again. Underneath the aging that has occurred a part of that child is within us all. In fantastical places creating worlds upon worlds of imaginative dreamlands. Quintessentially the inner artist is an aspect of the inner child. Let go of the expectations of your adult life for a moment and think about what you wanted to be as a child, is that still a part of your living dream? The heart resides in innocence and fun. While I’m an adult, I’ve also learned to nurture my inner child, lending to me tremendously through transformative periods. I strive to be in laughter and wonder when setbacks come up. Coming into the excitement and playfulness with children, like a child, is where living takes on a new experience. Loving life is innocent, in the moment, present and aware with just being and experiencing what is, here and now. Children in their dreamlands and imaginations don’t care about judgement, they imagine and create. Hearing children laugh and play liberates my inner child to let go of the dry conditions of what can become my adult world. Promoting learning, creativity, playing, singing, dancing, being silly and inquisitive to a world that I see with child’s eyes that were asleep for some time. My request from you is to let your inner child out, it will cause youthful expression. Do what it is that brings up the exuberance you know yourself to be childlike with. Have fun with life in a way that inspires your youthful heart’s desire. Play on the swings, skip, laugh, be playful, create, paint, dance, make up imaginary worlds free of judgement that infiltrates adult living. If people take you seriously than that’s their issue, not yours. There is nothing wrong with being a creative mindscape to imagine from, the imagination at work is beyond comprehension of realms we live in. Where do you think our most creative pieces and brilliant inventions came from? Where is your inner child now? And the water was where I was standing, in a river where two diverging paths became one. Bubbling and flowing around me, I let go of everything I was holding onto into this healing place and a peace enfolded me. I was reminded that many paths lead to the source, whatever that Source may be, separate paths converge to diverge again, naturally. After being so much like air and earth lately, I am reminded to become more fluid again like this powerful flowing river. I fill myself with the essence of what is the surrounding environment. The trees and plants nourished by the water that flows fluidly, moving over the rocks and earth that become eroded by continual movement. The wood, trees and plants providing home and food for the animals and insects to survive upon. My totem hawk flying above representing my free spirit, in the air that gives breath to life, with the fiery Sun beaming down. All elements are needed to sustain an ecosystem. As a small piece of the whole, becoming one with the environment, whatever it may be, brings clarity and purity. As I’m meditating in the tranquility, I remember that becoming like water means letting go of attachment to desires, wants, needs, possibilities and outcomes to allow the flow to lead me where I’m meant to go. Flowing around obstacles fluidly creates peace of mind. Rather than resisting or turning away, which feeds energy to what’s not working, I choose to see life for how it exists right now. Going through my Saturn return over the past year and a half have been what I would call a shift in the way I perceive my outer world. Rather than “trying” , which is a futile term, to manifest all of my separate visions and dreams into existence, I am learning to create by simply being. My inner world has been fortified with truth, which becomes fluid as I evolve more fully into the potential that exists. I realize with new inward learning that it’s not about my belief in my dreams and goals or the outer reality, it’s my belief in myself. I fully believe in me. A deep truth, overlaid by the deeper truth derived from all the inner work I’ve done over the years. One that is unshakeable in its very core. I accept and love what is, life, living, being……. I love my life, it’s perfect right now and continually blows my mind with organic beauty that is a flow. Exploring this creation I have…. being, here, now, continuously with gratitude for living. The same source of consciousness that resides in me resides in everything. The Divine Feminine Consciousness is arising again. It is unstoppable in its frequency, growing and beaming onto our planet, its essence is purity. The reverence for it brings wisdom of inner divinity, love and clarity. The Divine Feminine Consciousness is the birthing place for all of creation, it is the breeding ground for all we know and don’t know. A place of love, understanding and compassion to be re-aligned to again, on our planet. This knowledge can no longer be controlled nor hidden. That which has been controlling knowledge of our individual truth and power shall be relinquished. So that we may collectively awaken to our individual sovereignty and collective continuity. For thousands of years the controlling powers have been keeping this ancient wisdom and knowledge of the Divine Feminine from us. 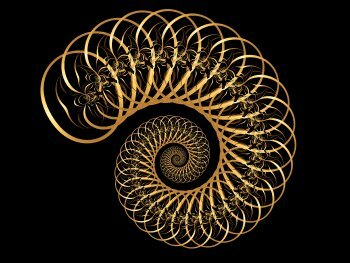 From Shakti in Hinduism to Sophia in Christianity and Gnosticism to Shekinah in Judiasm. We have been lead surreptitiously into truths that do not honor the divine feminine inwardly and outwardly. This does not mean being a female, it is information and energy that all humans carry the knowledge of deep in our genetic memory. 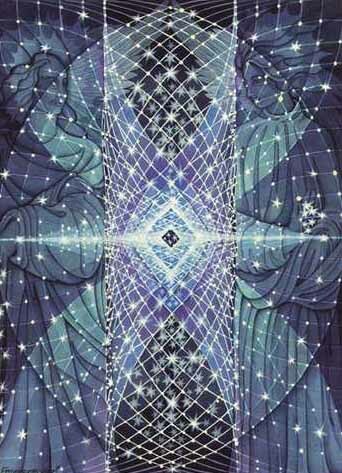 This energy is coming in waves to our collective, lulling us into a subtle transmutation as it heals. Allowing those who seek to awake from the slumber we have been put under. This flaming light brings with it purification; like a fire to all that no longer serves our species highest divine evolution and design. Love is the un-mutable force of the Divine Feminine. 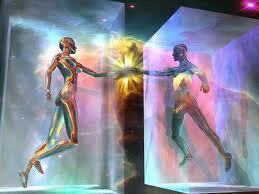 It is the time in human history for the merging of the Divine Feminine and Divine Masculine consciousness to unfold. This consciousness shall help seed our race, allowing us to be the guardians and loving caretakers for our planet, people and all species. 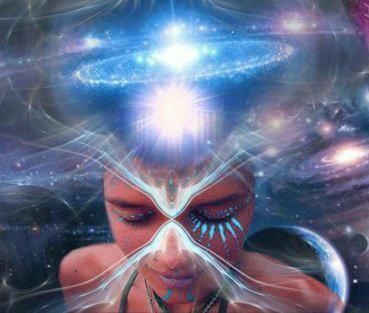 We can all open up to the many ways the divine feminine consciousness may flow through. Set the intention to get in touch with it and allow it to subtly move through you, through the top of your head down into the tips of your toes. Imagine yourself like a tree, growing roots deep into the earth where you soak up the nurturing healing qualities of her and let that flow through you.